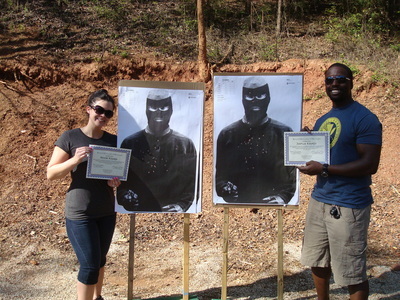 My wife and I recently completed our 2nd course with Mark and Blenda, Protective Handgun Carry Fundamentals. As with the first class we took, I will have to say that the information and training exercises provided over this 2 day course was absolutely top-notch. The level of detail, precision, and personalization given to us is definitely what keeps us coming back. This class gave both my wife and I so much important information and confidence needed to safely, effectively, and lawfully protect yourself in the event you ever had to use a firearm in defense. We will continue to use ACG as our #1 source for continued education/training on self-defense. We highly recommend ACG to everyone who is looking for the REAL way to educate themselves in safety, protection techniques, and laws surrounding self-defense. 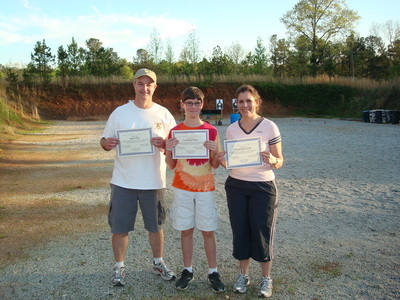 Mark & Blenda, I thoroughly enjoyed your Protective Handgun Carry Fundamentals class! You thoroughly covered the legal aspects and how to safely and responsibly carry concealed. I really appreciated the individual attention/instruction at the range and your attention to and concern with safety. The drills were invaluable and I now have a solid basis of the CCW "thinking" perspective equipping me for continued training and practice. Thanks for keeping it SAFE, comfortable, and fun. I look forward to training more with you both in the future. You are a great team and your enthusiasm and passion are evident! My expectations were met and then some! See and/or speak with you soon! 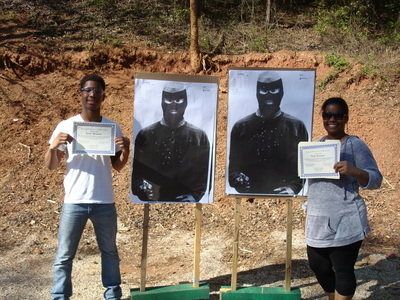 "We would highly recommend that if you are a new gun owner or even an experienced one that you take the self defense gun course given by Mark Swinson and Blenda Sing, owners of Armed Citizens of Georgia. They team up to give you classroom knowledge of the current gun laws, guidance on how to handle difficult situations, and resources that are invaluable. Then at the gun range regardless of your experience, they work with you personally on how to properly handle your gun, shooting drills, and SAFETY. They are all about safety and preparing you to defend yourself if the need should ever arise. If you own or are thinking of purchasing a gun, you should take this course. We learned so much. I am a new gun owner and my husband has much more experience with being in the military and hunting, and we both came away with a wealth of knowledge and improved skills that could make the difference between life or death in these uncertain times. "I recently took my fourteen year old son to the introductory gun safety course at ACG. WOW! Not only did we have a great time shooting at the range, the classroom instruction was wonderful. The private instruction at the gun club was second to none. Mark and Blenda are great teachers, and they really went out of their way to instruct and encourage my son. It had been quite awhile since I had shot any firearm, but they got me back in the groove fast. I would highly recommend taking any of their courses. We will definitely be returning in the future. " "I took my girlfriend to the Armed Citizens of Georgia to take the Handgun Fundamentals for Protection course. Initially I was taking it more for her as I considered myself to be not quite an expert but definitely not a beginner. I ended up learning so much during this class, in fact I probably learned more than my girlfriend who is a newbie to the gun community. I was skeptical about taking this or any class. I was sure the instructors would just put a couple slides up on a power point and then have us shoot some boring stagnant drills. Boy was I wrong. I was completely blown away by the level of class and professionalism. Mark and Blenda really are a class act! I just bought a new Glock and I must have sent Mark a few dozen emails with all my questions and he was a great help in answering all my questions. Blenda was excellent with my girlfriend; she was so patient with her and taught her so much. When the class started my girlfriend was shooting a low by about a foot or two. By the end of the course Blenda and Mark had her shooting nice tight groups all in the vital areas. Both my girlfriend and I learned a much more effective way to rack our slides. As soon as I get my concealed carry permit I plan on coming back to take more of their courses. If you are serious about learning how to use a firearm in a defensive manner you would be doing yourself a disservice by not taking this class. Police, Ems and Fire Fighters are not first responders they come after the fact. You as an armed citizen are your own first responder. Remember train hard, train safe and train often! Thanks again guys for all the help and amazing customer service." David Vazquez and Amy Schaefer! "I never thought I would ever be able to handle a firearm, even for the protection of my family! My husband (Chris) found ACG and they were exactly what we were looking for! The focus on safety, proper handling, and the teaching for when to draw a weapon... I cannot begin to explain how thorough and and on point the training was. Just the right amount of everything from the laws to the mindset you can anticipate if you have, heaven forbid, a violent occurrence. We took the fundamentals class, and I am looking for to taking the next more advanced class. I went from being very anxious and concerned, to feeling so much more confident and more at ease in my own mind knowing that if I just practice what they taught us, I will NOT be a helpless victim. Mark and Blenda are fantastic. Just two of the greatest people you will ever meet. They made everything fun and enjoyable, while still taking everything about safety and self-defense completely seriously. If you are looking for advanced training, or are just a beginner, you will not find a better place to go!" "You couldn’t ask for better instructors than Mark and Blenda! They take great care with their instruction, place a lot of emphasis on the fundamentals and safety, and make sure you understand them before leaving the classroom. As great as they are in the classroom, they’re even better on the range! They work with each student individually providing instruction on the proper handling of firearms. They observe your firing technique, listen to your concerns and give you the personal guidance that you need to improve both your comfort level and accuracy with your weapon. Even though I brought my personal handgun, they afforded me the opportunity to gain experience with the different handguns they brought to the range. This was a HUGE plus, and greatly increased my abilities and comfort level. I highly recommend Mark and Blenda for any of your firearms training!" "Thank you Mark & Blenda! I really enjoyed the class. I was new, inexperienced a little uncomfortable to handle a gun at class start. But, you two were extremely knowledgeable and made me feel comfortable right away. The class content was fun, and easy to understand. I loved the gun range training as it helped helped to bring the class information "home". I have already recommended this class to my friends and plan to take more training myself. Thanks again! " Just wanted to let you know how much my wife and I enjoyed the “Firearms Basics” class. My wife was looking for a working knowledge of handguns, gaining comfort with handling, loading and shooting of handguns, yet my goal was to have fun and gain some knowledge of legal issues pertaining to hand guns. Neither of us was disappointed. Once on the range, the REAL fun began. Taking what we had learned in the class, combined with some quick, yet thorough instructions, allowed us to load and empty what seemed like endless rounds of ammunition, through multiple weapons and calibers, as well as working through multiple scenarios. All in all, it was a very fun and educational class. My wife now feels very comfortable and confident in carrying her weapon with her. Something she had been waiting to do for close to a year! I am now comfortable with her meeting clients in her real estate career. I would recommend this class to anyone who is looking for qualified instructor(s) in firearms training. Looking forward to seeing you again soon in the “concealed carry” class. Thanks again!